This week, PR defends itself against the Social Media rebels. 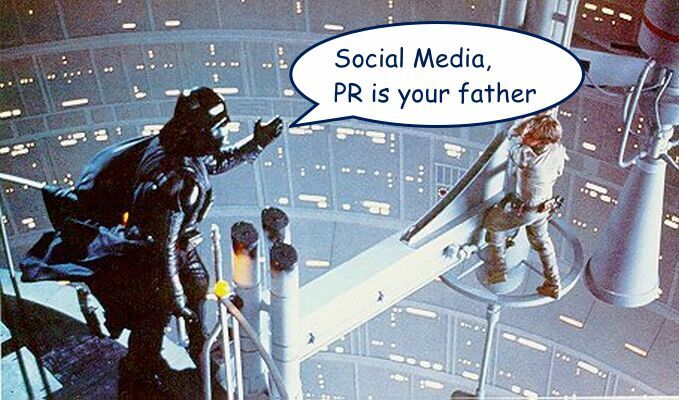 A long time ago, on a podcast far, far away, our Geek Whisperers destroyed a straw-man PR Death Star in a previous episode, How to Socially Train Your PR Professional. The three Geek Whisperers work in the social/community area, and we love our colleagues who work in corporate communications and public relations, but sometimes we don’t feel like we’re speaking the same language. Our guest, Carrie Reber of Infinio, listened to the last podcast and found herself yelling back at us. Luckily, we heard the commotion and got her as a guest on the podcast, stat! In a response to our original podcast, Carrie lays out for us three misconceptions that social media people have about PR folks. PR is not about locked-down sanitized control and press releases. Real PR Pros don’t pitch; they create relationships. Reputation and credibility is not unique to social media. Disclaimer & News: Matt Brender has a new gig at Infinio, and now works with Carrie. Congrats Matt! More good news is that Matt will continue to be a Geek Whisperer with us.